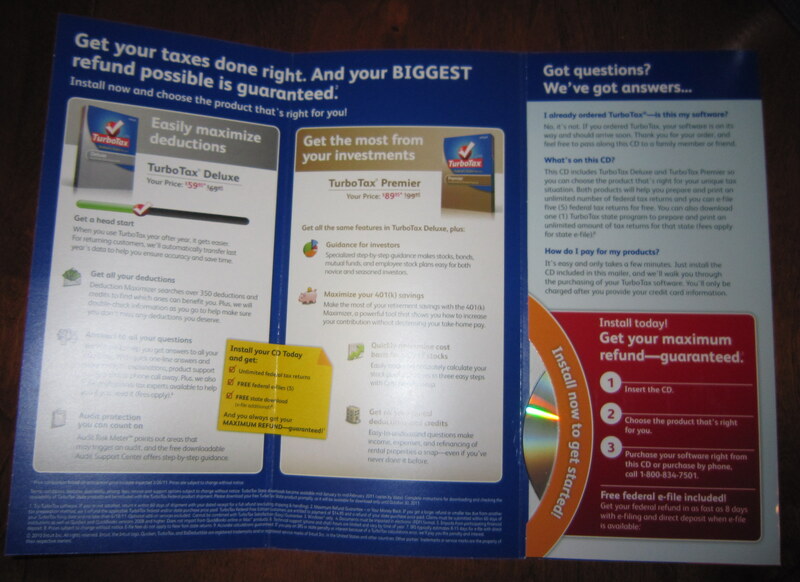 I got a CD in the mail from Turbo Tax this week. It looks like free software, but it’s not. It’s the same software you can get in stores or access online. You must pay for it. It really is great marketing. 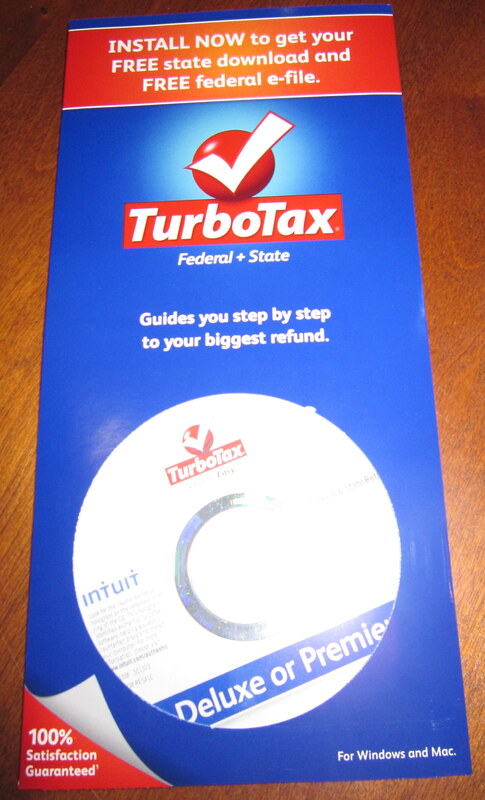 I thought it was free software, but it’s $60 for the basic version of Turbo Tax, with the convenience of having the CD delivered in the mail. For Intuit, the makers of Turbo Tax, it may be a profitable strategy. Turbo Tax usually has a price point of $35 – $40 in stores, so this price represents a ~$25 premium. Plus, they lock in customers before they have a chance to use another service. Brilliant. Plus, taxes are on the mind of the American public. With the house and senate debating extending the Bush tax cuts, the entire country has taxes on their mind about 4 months early. We’ll see if it pays off for Turbo Tax. If it does, you can expect to see more software delivered in the mail… that you have to pay for.